I’m not one of those people who visits Amazon.com hourly to see how many copies of my books have been sold or if my ranking has changed. There’s simply too many other things to do. Still, I do pop in now and then to post a blog and make sure my books haven’t disappeared from the pages of Amazon, which has been known to happen. So, imagine my surprise when I discovered three new reviews posted in January, and all of them good. Here’s excerpts from two of them. A young friend just emailed me with her stream-of-consciousness report of her stab at writing a 500-word scene with setting as the most important element. She followed with a text message asking me how she could possibly succeed as a writer when there's so much competition. First, she was THINKING when she should have been writing. Not thinking about the scene, but thinking about what other people would think of the scene. That comes later. When you're writing, there's just you and the medium--the paper, the computer screen, the mind's eye. What does it matter if the metaphors are appropriate? What does it matter if the grammar is correct? What does it matter if the character is "too much YOU"? All that work needs to be done before you start writing or after you've got the scene down on paper. LEARN correct grammar, yes, but don't worry about it when you're creating. IMAGINE people different from yourself, yes, but do that before you take the plunge. Sort out the metaphors later, after you know what you're writing because you've written it. Why would the setting be the most important thing in the scene? Let's see--The setting is threatening or difficult. Why is it threatening or difficult? Is it treacherous? Is it wild? Is it unfamiliar? The Land of the Lotus Eaters was dangerous because it was perfect. The protagonist was in danger of being seduced into unending delight instead of facing danger to achieve his goal. That means the protagonist had to be somebody to whom duty was more important than pleasure and community was more important than self. Pick a setting at random. Let's make it easy, and make it one you know. Say you work in a book store. Why would a book store be a place of great importance? Let's say you're a writer with a new book. A little-known writer. Let's say you've talked the management into letting you do a signing. Let's say you've borrowed money from your family to buy 100 copies of your book to sell. Let's say you're shy, but you HAVE to sell these books at at least cost so you can pay back your parents. Customers are coming into the bookstore. Are they talking to you? Are they showing any interest? Are they passing you by? Are they looking at the books? Are they buying? Is the staff being friendly or rude? Did somebody steal a book? Did that please you or make you mad? Any cuties flirting with you? Anybody taking insult at anything about you or your book? You don't even have to create a story arc--you only have to imagine this and write about it. You can do 500 words standing on your head! As for how you can possibly succeed as a writer, ask yourself what you mean by "succeed". Do you mean "write well"? That's what I mean by success, and competition has nothing to do with that. Other writers can only teach me things and help me. They aren't my competition; they're my colleagues. Do you mean "sell and make money"? My only hope of that is to write as well as I can, with MY imagination and MY voice and MY skills, and to submit and keep improving and keep submitting. Like the sower of seeds in the Bible, fate throws out ability at random. Some people can't use their ability. Some use it but can't keep it up. Some lose interest or get discouraged or write like angels but don't try to market it. Other writers aren't your enemies, they're your best friends. I've never known a good writer who wasn't generous with his or her advice or help. That's because most writers are readers, and want as many good writers to succeed as possible so they'll have more good books to read. Now, you've done it. You goofed--blew it--put your foot in your mouth--your lips spoke before your brain kicked into gear. We've all done it. Authors and speakers seem to do it the most. Say something that they ordinarily wouldn't have said. Now, it's too late. It's been said--or hinted at--or mentioned at the wrong time, inappropriate time, in the heat of the moment and you can't take it back. What's an author to do? Don't panic. Think things through. Carry a Damage Control kit wherever you go. What does the kit consist of? Written words and phrases of wisdom. 1. Remain cool, calm and collective. This is not the time to lose your temper or worse, argue. Remember the adage your boss at the Five and Dime told you? "The customer is always right." This applies to an author as well. No matter what comes out of your mouth, whether intentional or not, your audience is always right. No matter that five out of one hundred fifty-two listeners heard you said one thing and that another fifty listeners understood it to mean something entirely different. The point taken is that you slipped. You've got to do act before it's blown out of proportion. 2. Apologize. Whether you're right and the audience is wrong, it doesn't matter. You've been invited as a guest to come into their "living room," store, school, church, college, or library. The point is you've been invited. If you been paid for your services, it makes it a lot harder to apologize, but do it. Do it graciously. Accept the blame and then move forward. As authors we can't risk 'biting the hand that feeds us." In other words, when authors go out and speak at functions, we're also marketing and promoting ourselves, our books, and future authors coming into this establishment and further marketing and promoting themselves, their books and future authors. Admit that you made a mistake. More importantly, tell your prospective host that you make up for it by offering an additional something. This tells your host you're serious and won't repeat this offense ever again. When I go on speaking engagements, radio and/or television interviews or address a class at school, I get nervous. So nervous that my lips take on a life of their own. If I don't plan what I'm going to say, all sorts of strange words and ideas flap past my lips before I know what I'm saying. One way to prevent this is to come prepared with a 3 by 5 cards with key words or phrases jotted down. Glance down at the card to remind yourself what your next pitch sentence is and follow that train of thought. Remember when you go to the grocery store, most people bring a list with them so they'll buy only what's on the list. They don't impulsive shop. The same idea applies to the author. Keep that 3 by 5 cards in your hand. It keeps you on a focused path. It prevents you from saying things that don't need to be said or added to your present speech. Using profanity in front of elementary students or seniors. Stretching the truth to fit your facts. Comparing your book to a well-known author and falling short. Distorting facts and stats. 4. Piracy and Copyright Infringement. Authors are often carried away by the sound of their words and small successes. If not careful, they'll claim something that belongs to another author or worse, make a false claim. When that happens, stop speaking. Wipe the silly grin off your face. Take a sip of water. Explain what you really meant. Don't try and fool the audience. The audience are people who like to ready-- kindle, e-books or audio books. Some may even possess a partial or a full photographic mind. Well known passages and words are well-known. Remember Shakespere? When offering explanations, keep it simple. Don't lie. Don't invent. Don't substitute. Give the full context of that phrase or famous saying to that well known author. Make sure the audience understands that you didn't do it on purpose or to test them to see if they're really listening or not. Mid teens and teenagers are quick to point out your mistakes. Don't make it worse with excuses. Passion. 'Fifteen minutes of fame' syndrome. Be careful when using a quote, facts, or figures that not yours. Make sure you reference the right person. Copyright issues and piracy have surfaced on the Internet. Song writers and celebrity authors don't like their words stolen from them. 5. Question and Feedback Handling. During an interview or speaking engagement, an audience is often asked if 'there's any questions' or 'feedback' they want to share or add.' Authors take note. The rules of the game have shifted. Questions might or might not relate to what was said or implied. Be prepared to answer discretely. For example, offer to email that person or a phone number to call them with the additional information. Don't let them distract you from what is planned in your presentation. Remember the adage, once words are spoken in anger, they can't be taken back. The author has compromised themselves. Audiences look at the author with different attitudes. What they think will affect the outcome the author. Audience participation does become part of author promotion and word-of-mouth approval rating. 6. Voice Language. Make sure you control your voice when speaking to the audience. Adjust it accordingly to the age, gender and intelligence of that audience. An author's voice is an emotional appeal to prospective audience's ears. Adjust your tone to match the mood of your audience. Keep your feelings under control. Water sliding off a duck's back is worth remembering. The point is that an author's Damage Control kit should be used sparingly. Understand how to make a presentation before you do one. Practice in front of a 'family' audience and practice taking questions from them and handling misstatements that you might make. Practice handling insults, racial slurs and outright profanity. Once the author makes a slip, the audience considers it open season and will go after you. The author must learn how to turn around a mistake without antagonizing their prospective audience and host. Faux-pas happen. Words are said that shouldn't have been said, but it happens. When it happens, be prepared as an author to make sure that you deal with it immediately and don't make the situation worse. Using poetic license is no longer enough to excuse what might come out of your mouth or written by hand or typed by a computer. The author must learn how to think and speak on their feet while modulating their voice tones. In that way, an author's Damage Control Kit becomes part of a routine, not a consequence of speaking. Three sneakered sleuths find Jefferson Davis' lost gold treasure with help from a disembodied black fist and divining rods. Move over Nancy Drew, there's a new girl in town! I met Lillian S. Cauldwell a few years ago, when I was looking for radio hosts to help me promote a new novel. Lillian is a thoughtful and gracious host, and I've now been on her radio show a few times. (Thanks, Lillian!) She is a friend and promoter of writers of all genres and experiences. Lillian is also a published author of a multi-cultural paranormal mystery series for Young Adult readers, 9 to 14 years old. Her first novel Anna Mae Mysteries: The Golden Treasure is currently on sale at Amazon.com and other bookstores. She's currently shopping for a publisher for the second book in the series, Anna Mae Mysteries: The Holy Relic. Welcome, Lillian, and happy blogging! I am very pleased to announce the release of Growing Hope: The Story of Edmonton's Hope Mission by Stephen T. Berg. As the title suggests, this is a historical account of the creation of Edmonton's Hope Mission, a mission that has counseled men and women with addictions, housed the homeless and fed the hungry. While most of us are writing about fictional crime, many of us have experienced it. Some of us are survivors of terrible tragedies. I am tied to Hope Mission in a very personal way. My younger brother used their services before he was murdered in 2006. I was honoured beyond words to be asked to edit this book and did so willingly. Some of the stories presented in Growing Hope brought me to tears. Some could have easily been my brother's story. I hope you'll check out this book and read it. For those of you who are researching life on the street for a story, this book may be quite valuable. For those of you who don't know much about the homeless, addicted or poverty stricken members of your community, this may help you understand more, maybe see a different side. It is such a comfort to me to know that my brother had these services and these people in his life. I'm going to go out on a limb here and say that your nose is scrunched up now and you are slightly put off by my title post declaration. But for argument's sake, let's say I am right - having children is a good thing for a writer. Why, you ask, relaxing your frown a little. And I answer your question by saying that I, your humble blogger, have two children, ages 5 and 6. Said children always demand the precise word. When I give them the definition of any word, they demand the definition of the definition. They, like caffeinated jack-hammers, drill me until they achieve complete understanding. Then, they attach themselves to the literal meaning of words. When they discover there are not ONE, but TWO meanings of a single word, their faces open up with delight. Possibilities stream through their eyes. You can see their brains turning over and over by this new discovery. And they can't wait to try out their new words. For example, our breakfast conversation recently began with "What is available for breakfast?" And now, of course, they want to know when anything is available. A couple of days ago, my highly perceptive first grader was playing with a game called "Silly Sentences" where a word is paired with its picture. She brought me this puzzle piece/word-picture. "How can a sandwich be a hero," she asked. So, dear friend, there you have it. One question leads to another when you live with children. Your knowledge expands. You begin thinking about the many meanings of words and the way to describe something simply. The way to see something through a child's eyes. And perhaps, the way to give a character (and your readers) the knowledge of how a sandwich can be called a hero. Perhaps children will not make you a better writer, but you might just be a more precise writer. “Rejection is a writer’s best friend. If you are not failing regularly, you are living so far below your potential that you’re failing anyway”. For me, this single sentence eliminated much of the fear of failing that used—and still sometimes does—keep me from submitting work, especially to popular magazines and contests. Levoy’s remark made me realize that trying is so important that I decided to keep a detailed record of everything I was submitting. (I used to keep track of only publishing acceptances). To date, I’ve submitted work over 1,200 times in the past thirty years, and have even managed to win a few writing competitions, albeit little local ones. So why haven’t I produced and submitted any new stories lately? The answer is partly because I’ve been so involved in novel writing, but I think part of me still doesn’t want to face the many rejections I’ll likely receive before my loved story finds a home. Rejection is frustrating and sometimes demoralizing, but then so is not trying. I really do need to get to work and start submitting again. Resting on past glories just isn’t enough. 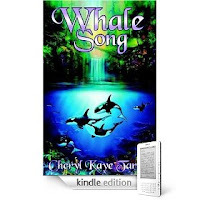 I spent the past week speaking with a representative of Trafford.com, the publisher of the original 2003 novel Whale Song, about how the old edition could have mysteriously been converted to a Kindle version without my authorization--or Trafford's. Here's an interesting survey on consumer e-book habits. For authors thinking of pursuing e-book publishers or those who want to publish e-books on their own via sites like Amazon's Kindle or KoboBooks.com, you'll want to read this! Opinion has supplanted research. There is no reason to learn the facts if an opinion is as acceptable as the truth. Nowhere is this as obvious as on the internet. Everything here is debatable: news stories, celebrity lifestyles, even encyclopedia entries. Pat Bertram is the author of Daughter Am I, More Deaths Than One and A Spark of Heavenly Fire available from Second Wind Publishing, LLC. I was recently interviewed by Anthony Bidulka, author, interviewer and possibly professional stalker, and this interview wasn't your normal run-of-the-papermill type. Instead of asking me those questions I usually always get during interviews or ones I've answered a million times, he tried a more...um...unique approach. For years, it was a daily ritual to check my mailbox in search of that elusive, much hoped for acceptance letter. More often than not, I received rejections, but I figured this was part of the learning process. A number of editors offered great advice and requests to see a revised version of my stories, and I’m happy to say that all of these stories eventually wound up published. When e-zines began to flourish, the waiting grew mercifully shorter. Five years ago, I could submit a story and hear back in a week; sometimes the same day! And I still do occasionally, yet I’ve noticed over the last couple of years that even many electronic publications are taking as long to respond as their print counterparts. All this experience has taught me that being published is as much about patience as it is about writing well and getting your polished pieces into the hands of editors and publishers. So, to aspiring writers, I would strongly recommend that you add this trait to your list of essential writing tools. Patience can and does pay off, and the time goes much faster if you start a new writing project while you wait. Best of luck to you! Traditional publishing has always centered on print, with audio and foreign rights secondary revenue streams. The focus of the biggest publishing companies was on the printed book. Lists of titles were sold seasonally to an established distribution channel of booksellers via wholesalers, jobbers, retailers and eventually online stores. Manuscripts were scrutinized and only the very best were placed under contract. Discounts were standard, the rules of the game established, and everyone was making money. Once print-on-demand technology was introduced as a way for publishers to reduce waste and streamline distribution everything begin to change. Publishers who feared losing the bookstore experience rejected the single copy print to customer demand and continued along their merry way, business as usual. Not to be deterred, the POD folks opened up their own publishing shops, accepting the written word of anyone willing to pay their price for services such as cover design and printing. The market exploded and suddenly everyone had a book. However the marketplace that was nurtured and developed by the big six in New York decided to solidify their strangle hold on booksellers by subsidizing shelf space and retail placement. Through an assortment of discounts, fees and incentives, publishers and booksellers agreed to prevent the wide scale penetration of the "other POD publishers" by labeling everything rolling off those presses as substandard and of poor written and production quality. The strategy has worked. Consumers today have a strong negative opinion of a self-published book, especially those that look and feel inferior to what they find in bookstores. POD printers understood their business model had to revolve around the upfront pricing instead of actual copy sales since they lacked direct sales and distribution a result of the rejection of the traditional marketplace. This decision strengthened the notion of inferior quality writing and played into the hands of the big New York publishers, eventually the marketplace was protected. Today the self-published book is making a debut in a completely new format completely hidden behind the reputable imprint of experienced professional publishers. Booksellers are openly accepting these titles due to the fact that each one is vetted and proven to be of high quality in both the written word and production. Now through the advance of the digital delivery system, self-published books utilizing this exciting new concept is finding their work can be competitive on bookstore shelves with any published title. As the book publishing business continues to evolve the key component for all authors in the future is control, ownership and rights over their content. Big traditionally publishers are resistant simply because their investment in each book must mean the forfeiture of an author's right to that content. Otherwise, they will go out of business. Nowhere is this fact more dramatic than the contracts that bind all authors to the large POD printers. It is unbelievable to me that the mass produced, low production standards of some companies include retention of all files created for a paying customer, forever. Why would any writer who has invested heavily in their written word be willing to agree to such terms of publication? Unless the answer is price! The Wal-Mart mentality may work wonders for household products, groceries and paper goods, but not for books. If you are shopping for a publisher for your manuscript, I strongly recommend you submit to the INDI Publishing Group. It's the model of publishing that will be the future of the written word. ~Jerry D. Simmons began his career in publishing at Random House in 1977, then later moved to The Time Warner Book Group where he spent over twenty years, later retiring as Vice President Director Field Sales. Jerry is now the publisher of INDI Publishing Group. www.WritersReaders.com. Q: For starters, how about you tell us a little bit about yourself, Isabelle? A: Well, unlike most authors, I haven’t always known I wanted to write. I don’t have a cute story saved from when I was in grade school or anything like that, though if I remember correctly I was very fond of storytelling (in the form of completely over the top lies). Although I’ve enjoyed the occasional short story or fanfiction romp since middle school, my real passion actually lay in music and theater. I starred in the school musicals throughout high school and then went on to co-direct three more productions after graduating. I feel that theater background often seeps into my writing, particularly in my use of dialogue. I like to speak it out loud to make sure it sounds and feels real. While in college, I got my freshman English final published in The Everyday Writer: 2nd Edition, a teaching manual for the university. This sparked a serious inexplicable ‘something’ in my head. I’d been doing a lot of recreational writing, but nothing to really try and establish a career. Then I was struck with this intense, tortured, complicated love story which snowballed into this epic series, the first book of which is my newest release, Zerah’s Chosen. It’s a story surrounding six Elementals personified, prophecies, forbidden love and the end of the world. Q: Zerah’s Chosen is a YA romantic fantasy, definitely a genre switch from your previous three romance novellas. What made you want to veer from romance into YA fantasy? Honestly, I didn’t intend to write Zerah’s Chosen as a young adult novel, it just kind of happened that way. My characters’ story began with them as children and follows them until adulthood, which gives the book crossover appeal. It’s definitely representative of where I was in my life as I was writing it, my early twenties, tumbling into adulthood as best I could, you know? But now that I’ve written YA, I can’t imagine going back to adult romance. I mean an occasional foray, maybe, but I’m just convinced YA, particularly YA fantasy, is where I belong. I find writing characters on the cusp of adulthood refreshing. I can be daring and emotional knowing that my readers are compassionate, intelligent, and open minded individuals. It’s great. Q: I noticed your website’s EXTRA page has a section specifically for music. Obviously it plays a big part in your writing. What’s in your player right now? A: Right now I’ve been collecting a lot of trip-hop, dance pop, and electronica/Britpop of the likes of Bloc Party, Lady Gaga, and Imogen Heap for a YA Fantasy I have in progress. I can’t tell you what a rush it is to put together writing playlists. It brings scenes to life in my head. I absolutely love it. And although Zerah’s Chosen doesn’t have its playlist up just yet, it’s coming, so look out for it! Thanks for coming by, Isabelle. By day, Isabelle Santiago fuels her muse and her love of literature as a devoted bookseller. By night, she is the mom of one hysterical infant and a cat that swears he’s a dog. She lives with her husband and her misfits in a cozy loft apartment on the New England shoreline. Where Do Ideas and Inspiration Come From? As I wrote on Twitter the other day, if I had a penny for every time someone asked me where my ideas came from, I’d have $5.76 by now, which is about the average weekly income for most Canadian fiction writers. In truth, the answer to this question is not always quick or easy to identify. Sure, there’s the standard source: newspapers, TV news, conversations, family issues, day job incidents, overheard conversations, or dreams. But really, ideas come from all sorts of places and often when you least expect it. Take the day I was at a wading pool in a park with my daughter who was then three. I was watching the kids splash around when a baby who couldn’t have been more than fourteen months old, waddled into the pool alone, fell forward and began to struggle. His caregiver (possibly his mom) was busy talking to a friend at the time. I stood, other adults stood and suddenly the caregiver rushed into the pool and rescued him. My heartbeat didn’t slow for quite a while. This is where stories come from, although they needn’t be this dramatic. One night, many years ago, I was with a boyfriend in downtown Vancouver. We were waiting in line for the movie theatre to open. I was watching traffic and pedestrians until my gaze drifted up and I saw an enormous white owl perched on the corner of a building. He was magnificent against the black sky. All these years later, I haven’t forgotten that moment, so I think it’s still waiting to appear in a story somewhere. So, I’ll toss in my penny and ask, where do you find your inspiration? Or maybe the more important question is, what do you do with it once you’ve found it? Authors: How do you find the right audience for your book? Finding your audience isn't as difficult as some writers may think, though sometimes you have to think outside the box. Visit Market My Novel to read more and to find out what 3 authors say about this. On January 1st, I was working the day shift in security at a university campus. For obvious reasons, it was one of the quietest shifts I’d ever had. There were no students, staff, faculty, or contractors on site and, believe me, a fair number of those people show up on weekends. Every parking lot was empty; again an unusual sight. Wet asphalt glistened under a dark sky, lights were turned off in the grey, concrete buildings, and all was silent. Some people might view all that emptiness as bleak and uninviting, but for me it represented a blank slate . . . a fresh start for 2010. I look at every new year as a blank slate to be filled with conversation, busy-ness laughter, frustration, obstacles, mistakes, jokes, accidents, tears, events, surprises, and change. The old year is history; put away along with my 2009 files. It’s time to make new history. On the 1st, in the quiet and the rain, I experienced peace and bliss and hope for what’s to come. May you find bliss and peaceful moments as you make your own history.